Grown and cultivated with traditional plant breeding techniques, Ultra Cranberry maintains the wholesome goodness that only naturally occurring phytonutrients can provide. Di-calcium phosphate, hydroxypropyl methylcellulose, stearic acid, microcrystalline cellulose, magnesium stearate, silica, juniper berry (juniperus communis), parsley, (petroselinum crispum), red clover (trifolium pratense), uva-ursi (arctostaphylos uva-ursi) and pharmaceutical glaze. Hypo-Allergenic. Vegetarian. Free from artificial colors and preservatives. Free from the common allergens yeast, wheat, corn, soy and milk. 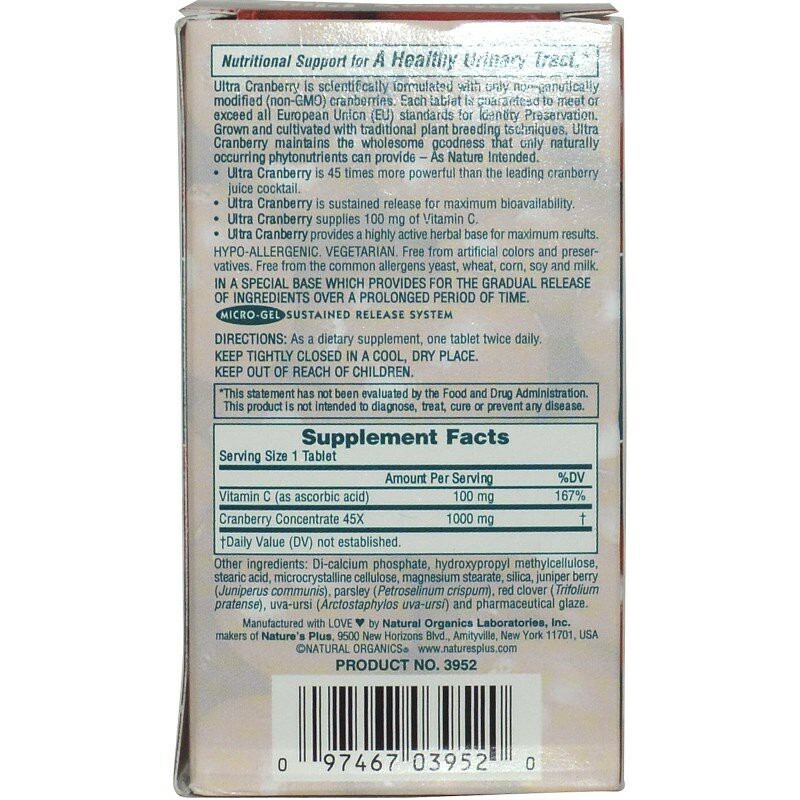 Ultra Cranberry is scientifically formulated with only non-genetically modified (non-GMO) cranberries. Each tablet is guaranteed to meet or exceed all European Union (EU) standards for Identity Preservation. Grown and cultivated with traditional plant breeding techniques, Ultra Cranberry maintains the wholesome goodness that only naturally occurring phytonutrients can provide — As Nature Intended. Ultra Cranberry is 45 times more powerful than the leading cranberry juice cocktail. 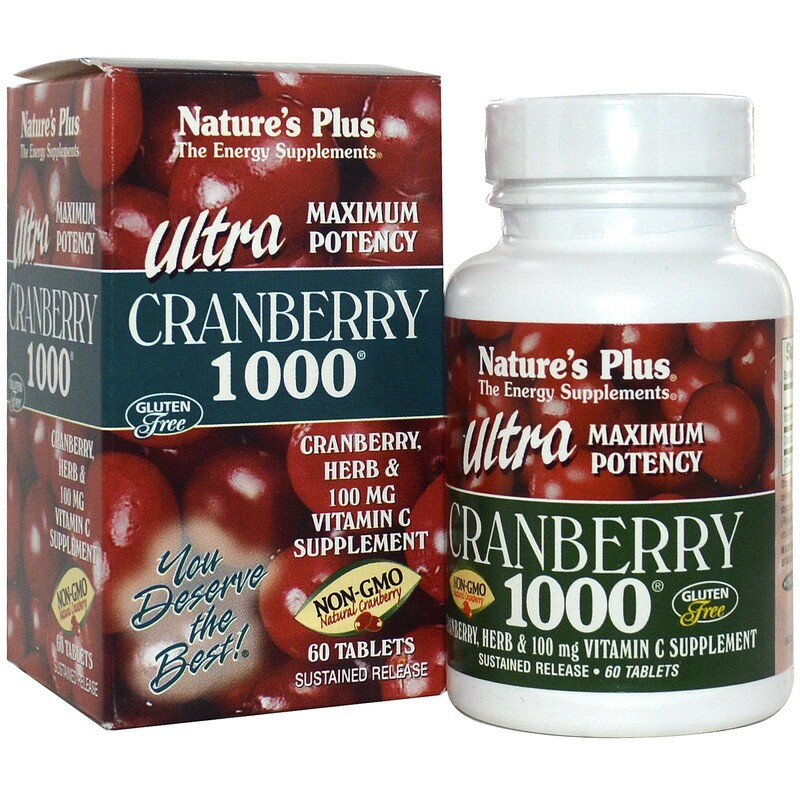 Ultra Cranberry is sustained release for maximum bioavailability. 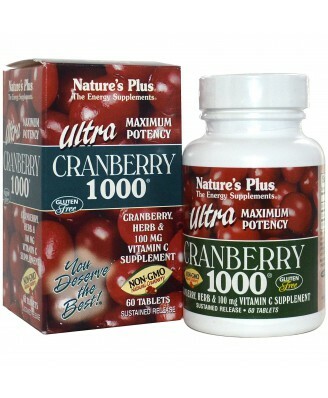 Ultra Cranberry supplies 100 mg of Vitamin C.
Ultra Cranberry provides a highly active herbal base for maximum results.